The Liberty 2-1/2 in. Pewter Mission-Style Ringed Pendant Pull can be used to enhance the appeal of existing cabinetry with a stylish pewter finish. A simple change can make a huge impact on the look of any room. Change out your old cabinet pulls and give any room a brand new feel. 64mm c-c Ringed Pendant Pull Mission Style The Liberty 2-1/2 in. Pewter Mission-Style Ringed Pendant Pull can be used to enhance the appeal of existing cabinetry with a stylish pewter finish. A simple change can make a huge impact on the look of any room. Change out your old cabinet pulls and give any room a brand new feel. 64mm c-c Ringed Pendant Pull Mission Style is rated 4.5 out of 5 by 32. Rated 5 out of 5 by WAG from The door pulls matched the existing pulls perfectly!!!... The door pulls matched the existing pulls perfectly!!! Rated 5 out of 5 by DPC1234 from Look great on the antique piece we were refinishing and... Look great on the antique piece we were refinishing and repairing. Rated 5 out of 5 by Moe from This was exactly what I have been looking for for over a year after my grandson broke the pull on... This was exactly what I have been looking for for over a year after my grandson broke the pull on my TV cabinet. The fit and quality was far better than the original one. Rated 5 out of 5 by chellebelle from Perfect Accent These are the Perfect Pulls for my new farmhouse style kitchen. Rated 5 out of 5 by DenverGal from perfect pull These pulls added just the right pazzaz to my cabin cabinets! Love them. Rated 5 out of 5 by gbk15 from Exactly what we were looking for! 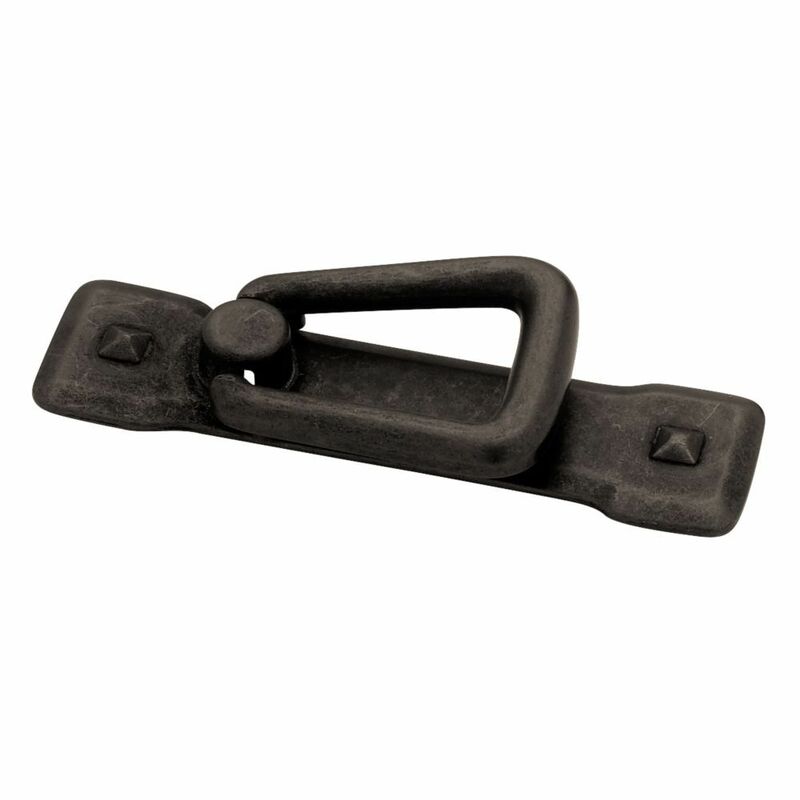 I was looking for some "wrought-iron" looking hardware to replace the old hardware on kitchen cabinets after a remodel. These were exactly what we needed. They were good, sturdy, well-made hardware. Would certainly reccomend them.